Scotland attracts increasing numbers of tourists every year and more British people than ever choose to holiday in the north of the UK. 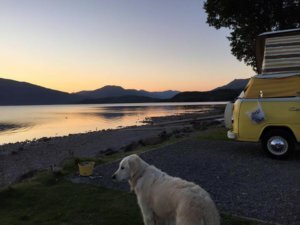 If you are planning a holiday in Scotland, you may be wondering the benefits of travelling by campervan? Would you like some flexibility to your holiday schedule? 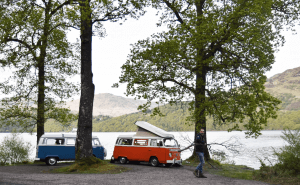 Fancy parking up at a lochside or deserted beach and staying the night? 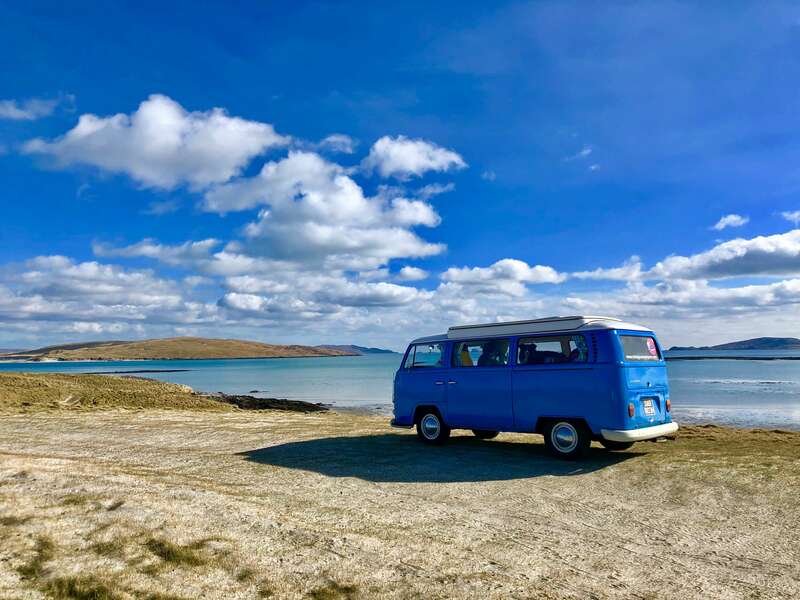 Campervans are the best way to enjoy Scotland's great outdoors because they give you freedom to adjust your plans to suit what you discover on the journey. Provided you follow 'The Outdoor Access Code' and look after the countryside for others to enjoy, you can camp outwith campsites. If you want to know more about this check out our itineraries page. Living out of a campervan puts you into the environment and closer to nature than any other holiday. If you love nature and the great outdoors, then immersing yourself in Mother Nature is like coming home to your true self. The VW T2 campervan, which is what our fleet consists of, is a small enough campervan to manouvere into beauty spots a huge motorhome could never reach. They are however big enough to sleep from 2 to 5 people and carry everything you need for your trip, even your well behaved dog can come on this holiday. Yes, our campervans are dog friendly! 'Slow travel' these days means immersing yourself in an area at a relaxing pace. It's all about mindfulness and living in the moment. Back in the 1960s & 70's it simply meant the vehicle you were in was slow and ours have top speeds of 55mph, so they're slow by today's standards. Travelling in our campervans gives you an elevated position, helping you to see even more scenery out of the bay window. Campervans are more environmentally friendly than flying and if you choose not to have electric hook-up in campsites, you can enjoy a completely unplugged holiday. If you also choose to put your phone away and take in memories, instead of taking photos, you can truly relax. Stop and enjoy the view whenever you fancy and why not stick on the whistling kettle for a cuppa, while you're there. Your holiday at your pace and with a different view to wake up to every morning = bliss! Combining your vehicle and your accommodation doesn't just make things simpler, it makes your holiday more economical. Our campervans have kitchens and come fully equipped, so you really are carrying all you need for your trip with you. Eating out takes on a whole new meaning, as you dine in the open air. (Our campervans have indoor tables and chairs for dining in when you wish.) Check out our full equipment list. 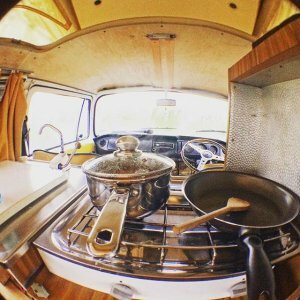 There are reasons why the 'vanlife' movement started and self-sufficiency and financial freedom are two of them. 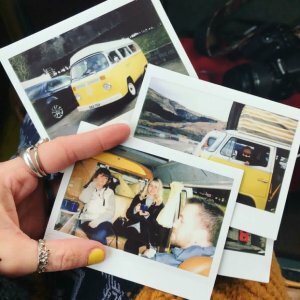 Campervan holidays with those you love can create some of the best memories that you will want to hold onto forever. Don't be surprised though if you make new friends along the way. Vintage VW Campers are like a magnet and they attract smiles, waves and happy faces and a nostalgic campervan tale wherever you take them. Not only are they an enduring symbol of freedom but they are also pure and simply great fun. Check our availability and prices by putting your holiday dates in the form above, costs are between £99 and £133 per night, dependent on time of year and number of nights.